Arlindo Ferreira was born in Pinhel (Portugal) in 1964. 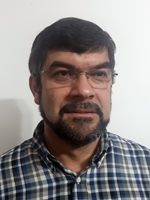 He received the Diploma degree and the MSc degree, both in Mechanical Engineering, from the University of Coimbra, Coimbra, (Portugal) in 1993 and 1999, respectively. Since 1994, he has been with the Polytechnic Institute of Guarda (Portugal) where he is a Professor. He is currently a PhD student in the University of Beira Interior, Covilhã, (Portugal). His current research interests are focused on renewable energies, particulary in the production of energy from biomass convertion.